In addition, the METaL Project supported the ‘Best Business Woman in STEM (Science, Technology, Engineering or Maths)’ category, with Dr Khali Khan, Project Manager, presenting the award. 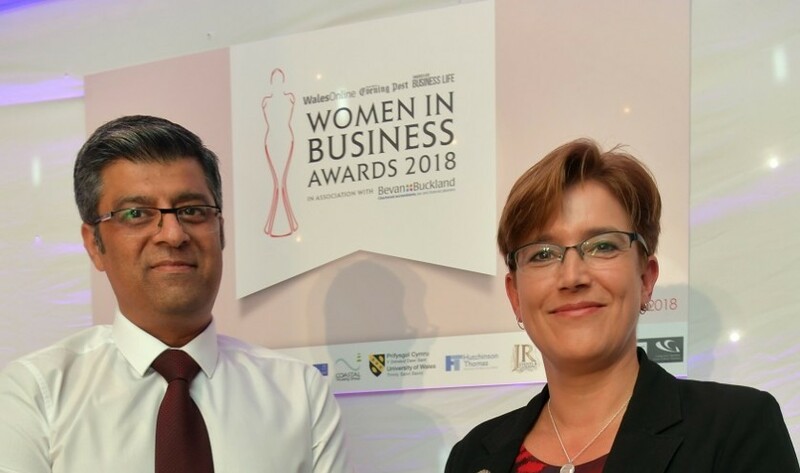 Shortlisted for ‘Best Business Woman in STEM’ were Jayne Woodman of Swansea Business School, Dr Geertie Van Keulen of Swansea University Medical School, and Tanya Foxall of Oriel Science. All were worthy nominees with Dr Geertie Van Keulen being announced as the overall winner. As well as her work in the Medical School, Dr Van Keulen organises and participates in the annual event of Soapbox Science. The mission of Soapbox Science is to raise the profile and challenge the public’s view of women in science, technology, engineering, maths and medicine (STEMM) by taking science to the general public in town centres.